Semillas Fito won the fruit and vegetable innovation award of the V edition of the A tu salud awards (To your health awards), which were organized by La Razon newspaper. The company won the award for its Monterosa project. 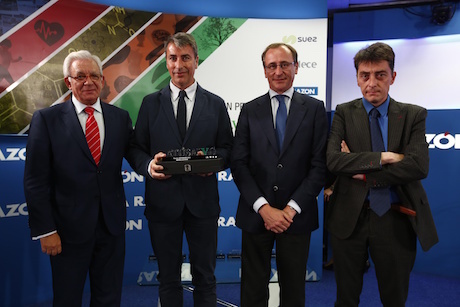 The Minister of Health, Social Services and Equality, Alfonso Alonso, presented the award to Jordi Ballester, who is responsible for the project, in the presence of the Minister of Health of the Community of Madrid, Jesus Sanchez Martos. The Monterosa tomato is a joint project of Semillas Fito and Gava Group. The Monterosa is a new tomato variety that is grown in Cabo de Gata (Almeria) and that is unique, especially because of the extraordinary traditional flavor achieved by its winter crops. Monterosa has brought back the traditional taste of the Mediterranean tomatoes, not only in summer but also in crops between December and June. 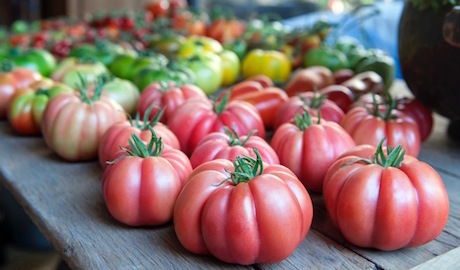 It took the researchers of a program to recover the traditional taste of tomatoes, led by Semillas Fito, eight years to develop the Monterosa variety seed. The Monterosa is a cross between the Girona pear tomato, DO tomato, and the Costoluto Genoveso tomato, an Italian classic. The result achieved, the Monterosa, offers, among other organoleptic characteristics, a sweet taste followed by a fruity end and no acidity.